It’s been a busy week, so I have yet to say anything about our road trip last weekend to the southwestern part of Uganda. Our destination, Lyantonde, means “creation” in some of the local languages. The term also gets used in many of the traditional religions of Western Uganda, Rwanda, and as far south as Burundi as “Creator,” the regional equivalent of the Luganda term “Katonda,” i.e. God. For this trip, Lyantonde town was a landing spot at the residence of my host brother, Francis Kaweesa. When I was here in 2013, Francis and his wife Patricia already had one child and their second was born while I was here. Between that excitement and a hectic field research schedule, I never got to meet any of them on that trip! The purpose of expedition was, therefore, twofold: I wanted to show Ar’Darius life, development, and religion in a typical Ugandan village, but it was equally important to see how Ugandans strike a balance between family life and work. Francis and Patricia’s warm welcome gave us the opportunity to do both. 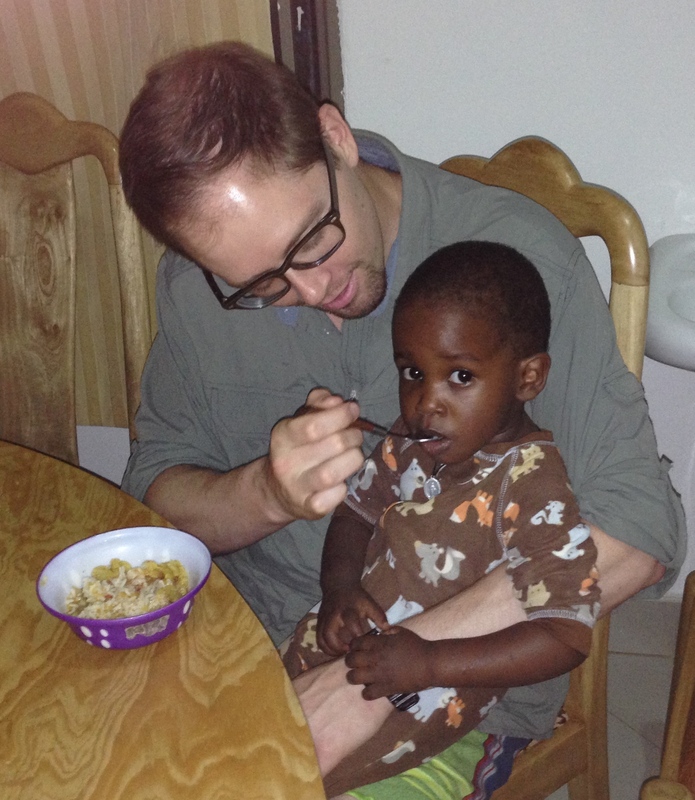 The kids were shy at first, but as with my own children, a bit of food went a long way toward establishing a baseline of trust. Francis and Patricia work hard: he is a project manager for an NGO and has several independent business interests, and she works at a bank in Lyantonde. They graciously took the time, however, to show us the highest standard of Kiganda hospitality. After a visit from one of their friends, a Roman Catholic Priest, we enjoyed a fine feast of local food and fresh juices. Away from the commotion of Kampala, we then enjoyed the most peaceful night’s rest since arrival. We arose early to climb in his van and travel to the nearby village of Busibo, a “place of ensibo (potsherds).” It neighbors a village further up in the hills called Busumbi, i.e. place of ensumbi (long-necked pots). On the road, it was easy to see the variety of soils that tied these pottery traditions with the place. The lowlands are wet with dark, rich soil perfect for agriculture. The dry low places and some of the hilltops produce clay for potting. The hillsides produce many different crops, some for cash and some for subsistence: bananas, beans, cassava, passion fruit, peas, pumpkins, and much more. This area formerly belonged to the Ankole kingdom, but Buganda conquered the area and the Banyankore still refer to it as one of the “lost counties.” The result is a place rich with agriculture, but with a history of cattle-keeping, the traditional occupation of the Banyankore. Water scarcity also pushed the Banyankore herders further west. It continues to challenge the agriculturalists who remain here, particularly those who grapple with soil variety and lack of real estate mobility. Enter Frank’s work: he is the project manager for an Australian NGO that has built a primary school and a secondary school on the Busibo hilltop. 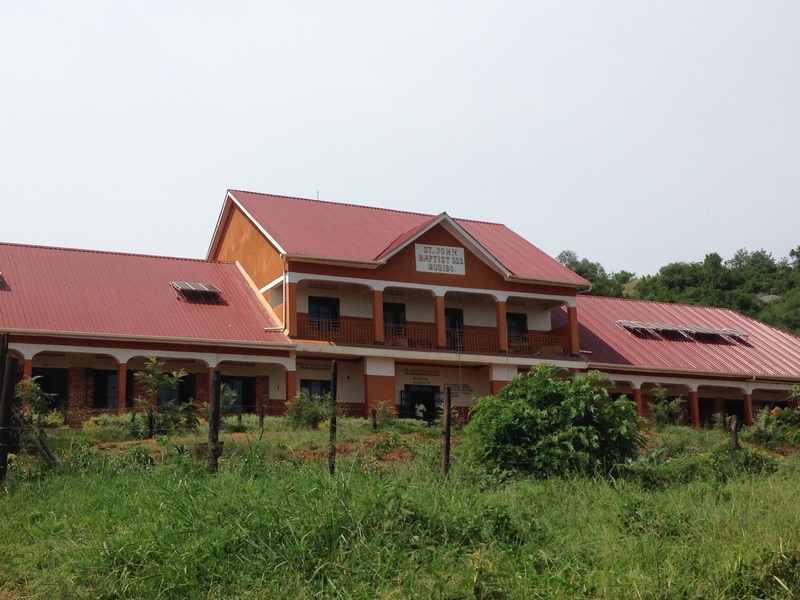 Before these facilities, the local schools–some of which still operate–had fallen into disrepair and were in bad need of educational resources. 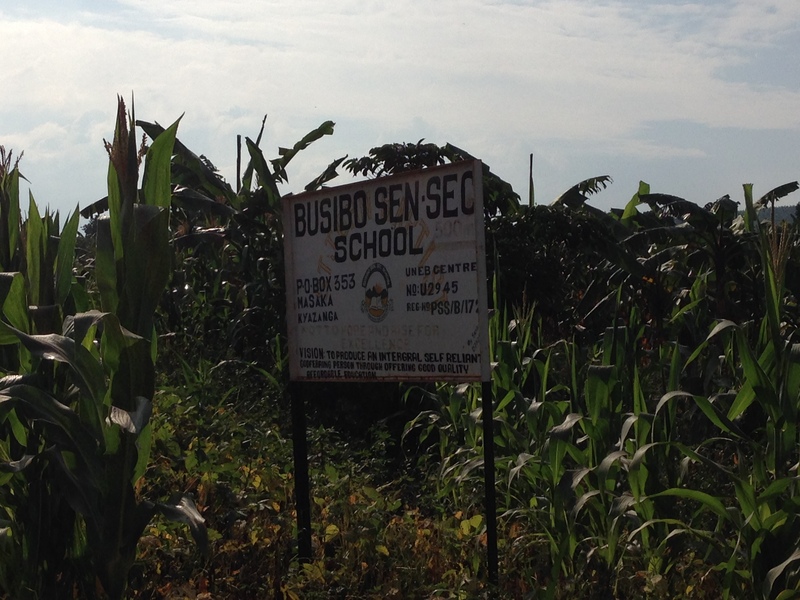 Now they are surrounded by thriving crops and filled with resources to educate the next generation of Busibo students. This is visionary leadership in action. None of this was here five years ago. 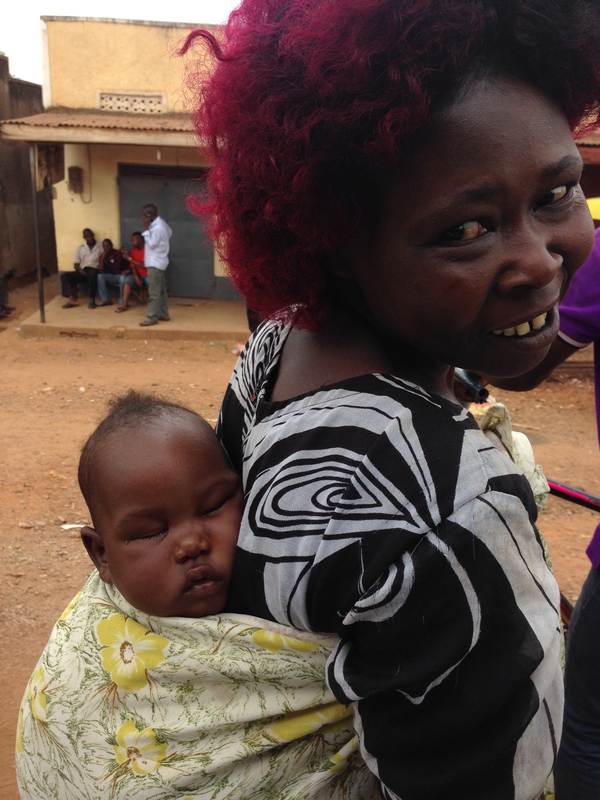 A Muganda woman from Busibo carries her sleeping son. May he dream big dreams! The people of Busibo rallied around Francis, whom they affectionately call “Manager,” and worked together to give their children something better than they had. He inspires them to want and to do things that they might have once thought impossible. Now that the schools are built, the community church is raising money to build a new church building. At a lengthy service full of singing, dancing, and more jubilation than I think I’ve ever seen in any Roman Catholic church, they held a brief auction. The community brought foodstuffs from their gardens, sugarcane and bananas from their fields, and home-weaved baskets to donate. I tried several times to bid, but with mixed success. It turned out that people were trying to outbid me in order to send their guests with some gifts! Alas, I made sure to win the bid on the last item so that we could give Francis and Patricia some small tokens of our appreciation for their hospitality as well. Meanwhile, Ar’Darius got to take home a souvenir of the village as well: I thought a basket was a fitting gift for him since it symbolizes the strong bonds of family, clan, and community as the foundation for receiving and appreciating many other blessings. Nobody knows this better than Francis: his family accepted me long ago, and through his work, Busibo has now accepted him as their “Manager” and facilitator of many varied blessings in their community. One of the many greetings that people use for well-known friends and visiting strangers alike says, “Nsanyuse okubalaba,” i.e. “we are happy to see you.” I had previously thought of it simply as one of the many niceties typical of Kiganda culture, which must be among the most friendly and polite in the world for visitors of all stripes. When the Kaweesa family’s priest friend came to see us at Francis and Patricia’s house, however, he explained it a different way. He explained, “we grow up thinking that you people from outside are in a different class of people, so we feel so good when you take the time to come and visit us and the trouble to even learn our language. That is why we say those things.” I was floored: a “different class of people?” I might have recognized this as the hallmark of a postcolonial condition, but the immediacy of hearing it directly from this man in such clear language required a less academic, more human response. I explained very simply in language I knew a priest would appreciate that we are all just people, that we are children of God. As he blessed each of us and prepared to leave, I smiled about the possibility of shattering artificial social constructions. In my career, music has consistently been a vehicle for doing this. That’s what we experienced as undergraduate students playing meréngue to throbbing crowds of emotional Dominicans who had never seen young Americans as anything but violent. Playing music in China, Japan, Uganda and elsewhere has often functioned similarly. Our weekend expedition to Busibo and Lyantonde showed us that music is just one way of being with people. Whether we use food, language, shared work, or any other element of culture, the point is to find creative ways of experiencing and sharing the world with people. What a privilege to experience Uganda with Ar’Darius, Francis, Patricia, and their community!